Is Maithripala Sirisena Who was Acting Defence Minister During the Last Two Weeks of War Implicated in Alleged War Crimes? What was the nature of the role played by Former Health minister and current Common Opposition Presidential Candidate Maithripala Sirisena during the final phase of the war conducted against the Liberation Tigers of Tamil Eelam (LTTE)? 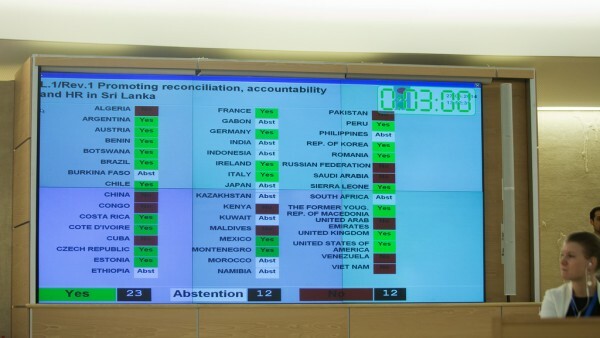 The question is of great relevance and grave significance at a time when the United Nations Human Rights Commissioner’s office is investigating alleged human rights violations, crimes against humanity and war crimes in Sri Lanka in terms of a resolution passed by the UN Human Rights Council in Geneva. 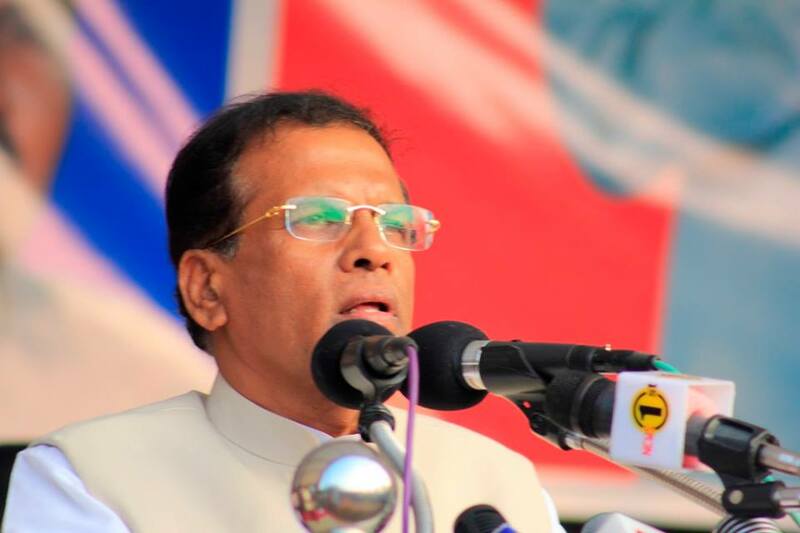 Responding to a question posed by Journalist Hafeel Farisz in an interview for the Colombo English daily newspaper”Daily Mirror”Maithripala Sirisena proudly asserts that he was in fact the acting defence minister of Sri Lanka in the final two weeks of the war when a large number of LTTE leaders were killed. Q: There is a sense of fear among the masses after the TNA and the SLMC came on board regarding the sovereignty of the country. What is the guarantee that you would give regarding the unitary nature of the state? A: “I was a person who was targeted by the LTTE on more than five occasions, the LTTE cadres who tried to kill me destroyed themselves without any sort of harm happening to me. The last attack was in Boralesgamuwa before that they planned an attack in Polonnaruwa which also failed. I was the Minister in Charge of Defence during the last two weeks of the war in which most of the leaders of the LTTE were killed with General Fonseka at the helm of the Army. Prior to that I have acted as the Minister of Defence five times during the height of the war. I want to assure the people of this country that the country would not be divided, that there would be no war and that I would not permit a resurgence of the LTTE. We will build this country with all our hearts and our minds. Among the issues being probed by the UN are the large scale massacres of civilians during the final phase of the war as well as the alleged execution of a large number of senior LTTE leaders who had surrendered to the armed forces. According to Sirisena’s statement in the interview he was the acting defence minister “during the last two weeks of the war in which most of the leaders of the LTTE were killed with General Fonseka at the helm of the Army”.This means that as the acting Defence minister he was the acting commander in chief of the armed forces during the last two weeks of war.In that sense it can be argued that he bears ultimate “command responsibility” for whatever acts of omission or commission by the armed forces during the crucially important last two weeks of war. One does not know the extent of the role played by Maithripala Sirisena during the last two weeks of war. Sirisena himself seems very proud of it because the implied assertion in his response is that the role he played then is proof of his credentials in safeguarding the unity and sovereignty of the country and also in preventing a resurgence of the LTTE. Since Sirisena himself is recalling the role he played as an achievement there is an imperative need for the presidential candidate’s conduct during the war to be scrutinised closely. There are many allegations and much criticism against President Rajapaksa for the role he played during the war. Now it appears that Maithripala Sirisena is claiming credit for whatever that happened during the last two weeks of the war in his capacity as acting defence minister in that final two weeks. Therefore it is nothing but proper that a Presidential aspirant too should be scrutinised. Maithripala Sirisena could even steal a march over President Rajapaksa by voluntarily placing himself under scrutiny. 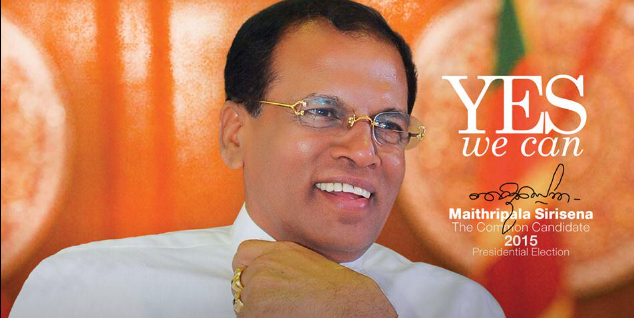 If he can clear himself it would enhance belief in the “Maithri palanaya”being promised the nation. Against this backdrop it is the duty of the Tamil National Alliance(TNA) to play the lead role in demanding a probe into Maithripala’s conduct. After all the only political party represented in parliament that has supported an international inquiry into the war has been the TNA. The party takes up the position that it is necessary for the whole truth to be revealed if genuine reconciliation and peace is to be achieved. By the same yardstick, it is the task of the Tamil National Aliance to call for an inquiry into Maithripala Sirisena’s conduct.Since the TNA is campaigning for Sirisena already the alliance can certainly “request”Sirisena to declare the details of his conduct during the last two weeks of the war. There is also a need for the TNA to inform the Tamil people of the “bona fides”of Sirisena in this respect. The TNA supports Sirisena and asks the Tamil people also to do so. Under such circumstances the TNA is duty bound to clear the air or set the record straight about Sirisena if his role as acting defence minister was above reproach or blame during the last two days of the war. The TNA must also reveal the reasons for supporting a UN probe into the war on the one hand and supporting a candidate who was acting defence minister in the final two weeks where much carnage took place and many lives were lost in an environment where alleged war crimes occurred. Already the TNA is facing an inner party revolt in the form of Northern provincial councillor Ananthy Sasitharan over this issue. She has openly declared her opposition to both Rajapaksa and Sirisena and challenged the TNA hierarchy’s decision to support Maithripala. Provincial councillors Sivajilingam and Ravikaran have also protested against support being given to Sirisena. “Maithri was the minister responsible for defence during the end of the armed conflict in Mullivaikkal when much of the genocide of the Tamil people took place,” Ananthi told journalists at a press briefing on Saturday. As is well known Ananthy Sasitharan is the wife of senior LTTE leader Ezhilan who went missing after reportedly surrendering to the army at Vattuvaagal.Hence her stance on this issue is somewhat understandable.Describing the events of the final war phase as “genocide” may be inappropriate but there is no denying the large scale human rights violations that took place. Only a genuine probe can reveal the extent and nature of such violations. In that respect the conduct of the man who served as acting defence minister for the last two weeks certainly deserves scrutiny.The fact that he is aspiring to presidential office necessitates such a probe.Maithripala Sirisena’s role in the last two weeks of war must be investigated.